I'm trying to absorb the fact that OLED PC monitors are now coming within consumer reach. My body is ready. Don't be too excited. Yet another experimental attempt similar to Sony XEL-1. Burn-in problem prohibit use OLED as monitors. Those who buy ans taste 'OLED with ghosts' monitora or laptops, will quickly return to LCD. Does anyone know of the supplier (e.g., SDC, LGD, etc.)? Too bad it’s too professional, too big and too expensive. 24" OLED monitor with 8-bit colors could easily cost at least twice less. But anyway, we are now in a new era of OLED monitors, and that’s really great. I would rather think it's Sony ... they still sell professional OLED monitors in that size. If you want PUNY TINY monitors... get a 22" CRT. Gratz. And it only took them about 15 years. CRT suffers from electromagnetic emission, inevitable blur, low contrast, and phosphor persistence. Needless to say, there are no 4K CRT monitors. You cannot be serious about that. And I believe 24-27" is an optimal size for a computer monitor. Just about your post otherwise I could write pro for a long time: no motion blur, 15-25x higher contrast from lcd, phosphor persistance yes but it is fastest from from all displays ever and that by far the best tech still for motion. Waiting for oled, for price to drop is has to be mass produced and replace in it pathetic lcd tech. 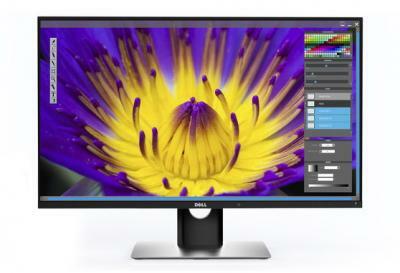 The Dell UP3017Q OLED monitor has reportedly been cancelled according to Les Numériques. A new product formally planned to be released this spring is the 8K (LCD) UP3218K monitor which is unlikely going to really hit the market too.